Instead of a subscription to stream TV and movies on demand, a growing number of companies want to sell you a subscription for on-demand, unlimited fitness sessions. Peloton, Echelon and Fly Anywhere are three U.S. companies that want to cater to Canadians with a convenient way to work out. But will the latest hardware join treadmills and Bowflex, drying your laundry? Your New Year's resolution to exercise more often could be easier — but more expensive — than ever if you latch on to the latest fitness trend. Streaming services à la Netflix are disrupting the fitness industry, offering on-demand, unlimited exercise classes on a subscription basis, in the comfort of your home. 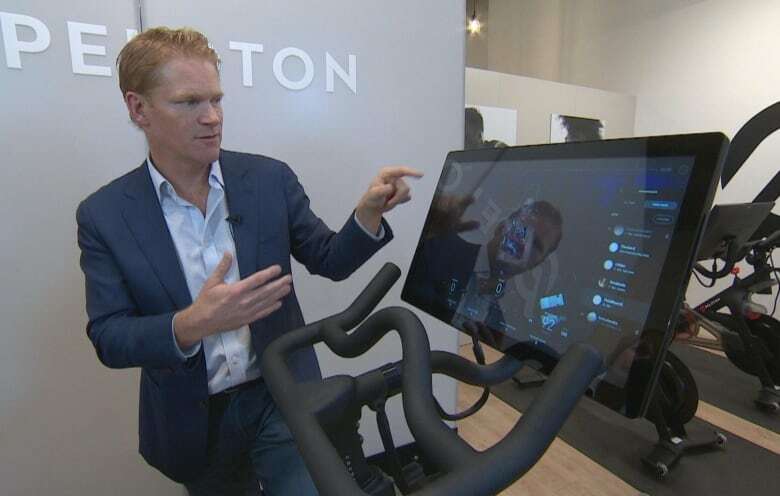 Pay a $49 Cdn monthly fee to Peloton, the New York City company leading the trend — plus $3,000 for its internet-connected stationary bicycle — and you get to join in a live spinning class, streamed via the bike's HD screen. The subscription also includes a library of recorded classes, with different instructors and types of music. But will the expensive devices end up gathering dust in your home, like so many other pieces of fitness equipment, leaving you stuck paying the subscription till your contract expires? "It's just awesome," enthuses Sasha Exeter of Toronto, who bought a Peloton bike in October, as soon as the service launched in Canada. With a new baby at home, she says convenience was top of mind. "I probably wouldn't get half the workouts I get if I didn't have that bike sitting in my office in my condo." Exeter says she did the math before buying. "Anyone that's a cycling enthusiast and is used to doing indoor classes understands how pricey it is. I mean, you're looking at $35 to $50 a class. So if you ride the bike two or three times a week you're easily getting your money's worth." Investors have Peloton valued at $4 billion, thanks to its fast-growing base of users. The company recently opened retail outlets in Calgary, Edmonton and Toronto. But it's just one of several companies that have sprung up recently, eager to offer home fitness technology to time-pressed consumers. A company called Echelon offers a similar service, selling its stationary bicycle for $1,300 Cdn and a monthly subscription for $39. The bike will be available in Canada at Walmart, Best Buy, Costco, Canadian Tire and London Drugs in early 2019, according to a spokesperson, who adds that the company is excited about the Canadian market. "Already Toronto is one of our Top 5 cities for sales and inquiries in North America." Fly Anywhere is yet another example — a spinoff from a popular spinning studio in New York City. Its connected bike costs around $2,100 US. The monthly subscription is also $39, although so far, the company has no plan to come to Canada. 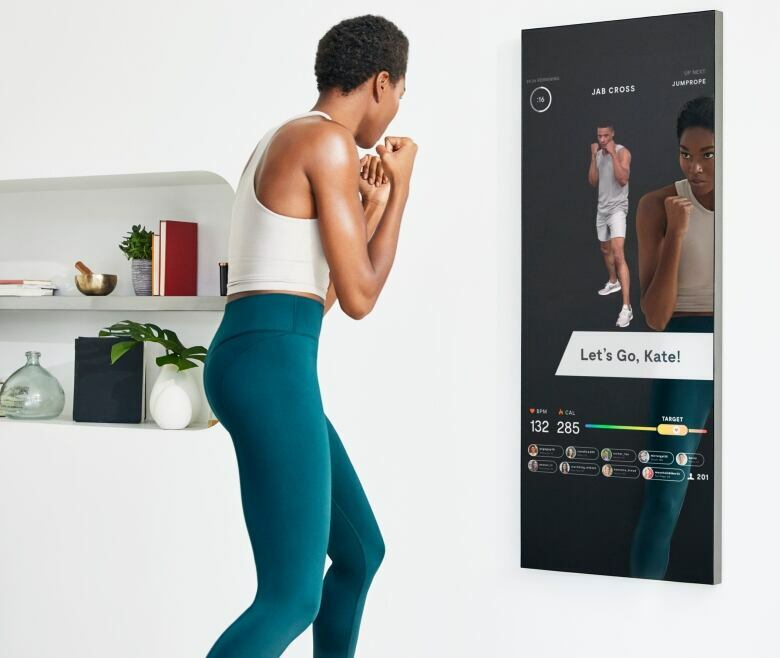 Then there's Mirror, a company offering a variety of at-home exercise classes. Described as a "smart mirror," the connected device hangs on the wall and shows you more than your own reflection. On screen, an instructor leads you through exercises such as boxing, yoga and strength training. Price tag? $1,495 US plus $39 per month for the subscription. "Fitness traditionally has been a destination activity," says Tim Shannehan of Peloton. "You packed up your stuff, you went to the gym, you worked out, and then you took a shower and went off to work. It's hard to do that. The realities of life are such that there are obstacles all the time that get in the way." Shannehan​ says the company chose Canada for its first international expansion after seeing the results of an independent survey it commissioned here. Researchers found that 77 per cent of the participants wanted to work out at home, and over 85 per cent said they wanted to do it on their own schedule. "That is exactly the pain we are solving for folks," says Shannehan​. "So it was natural for us to come here." But critics say these new devices are destined to go the route of so many fitness gadgets before them. Treadmills and exercycles, Bowflexes and stair climbers — it's impossible to say how many expensive pieces of equipment sit idle in basements or back rooms across the nation, used most often to hang laundry to dry. 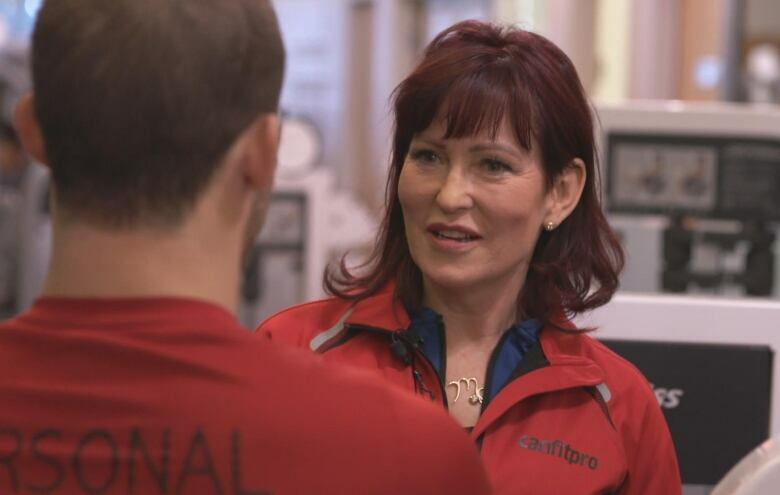 "Typically consumers will get bored doing that one thing," says Mo Hagan, vice-president of program innovation for GoodLife Fitness. "They'll seek out that live experience whether it's group fitness or personal training, or just working out in a club where they have so many choices." 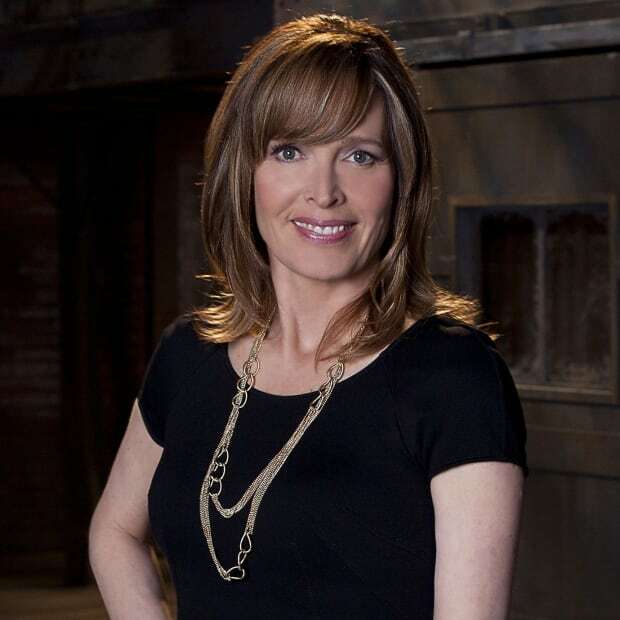 Hagan, who is also a senior executive with Canfitpro, the largest organization to certify fitness instructors in Canada, believes the new streaming fitness companies are "fantastic," but only when used to complement other activities, ideally done with other people. "The piece of equipment won't say, 'Come work out with me today,'" she insists. "It won't welcome you and or remind you to come." An American Facebook group dedicated to buying and selling used Peloton bicycles has over 20,000 members, most of whom are trying to sell their bikes. GoodLife is also tapping into the at-home trend, offering virtual classes to members, although those classes are still held in GoodLife clubs. But Hagan points to research that shows exercising with a group — in person — boosts endorphin levels higher than exercising on your own. A phenomenon called rower's high was documented in 2009 through research with the University of Oxford rowing team. The study's authors report that "this heightened effect from synchronized activity may explain the sense of euphoria experienced during other social activities, such as laughter, music-making and dancing." But Peloton user Exeter believes she's still getting the benefit of exercising with a group, even if it's only with a virtual community. "There are cyclists all over the U.S., so while I'm riding, the technology shows me everyone that's doing the class with me. People high-five you, people message you, it's a community. We all root for each other and cheer each other on." Neither Peloton nor Echelon is sharing the number of subscribers they have in Canada, but if demand for high-tech fitness ramps up the way they hope, their competitors may also consider a northern invasion.